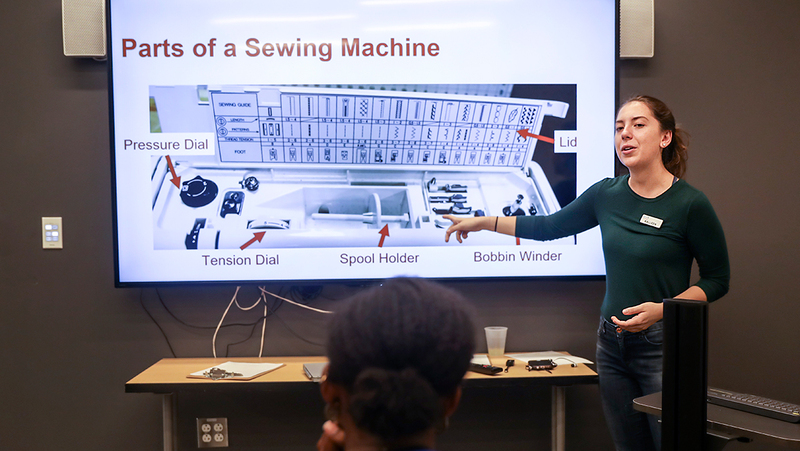 A part-time job at a campus makerspace has added another dimension to Kalleen Kelley's neuroscience and psychology research projects. 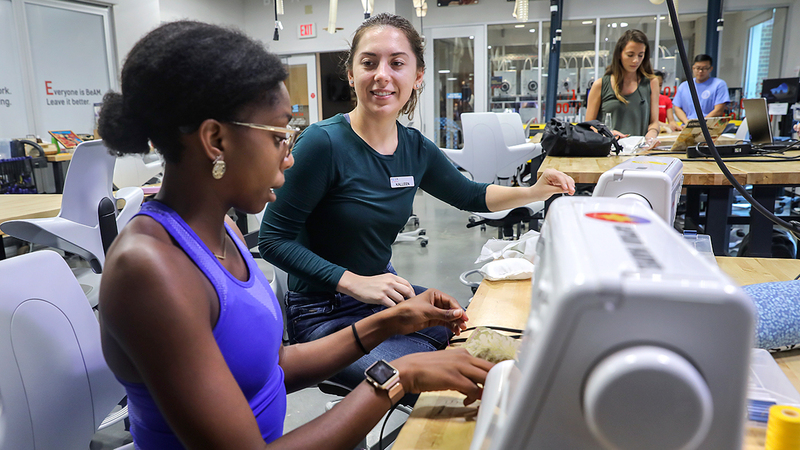 For Carolina junior Kalleen Kelley, her part-time job at the Murray Hall and Carmichael Residence Hall makerspaces is more about sharing her passion than a paycheck. “It doesn’t feel like a job,” said Kelley, a neuroscience and psychology double major. 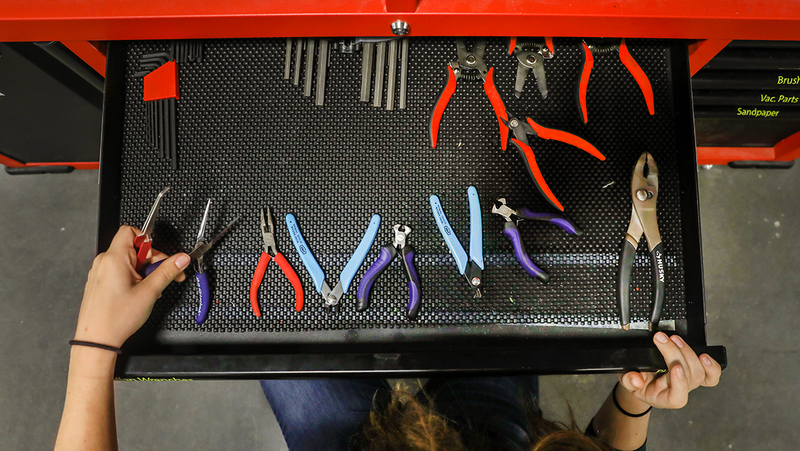 Over the past year, Kelley has worked her way up to become a team leader at the makerspaces, leading courses and helping students with the high-tech equipment in the facilities. 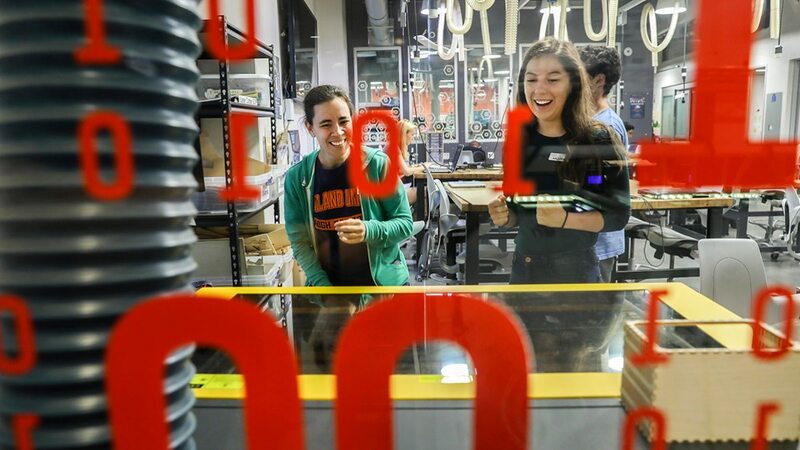 Working 12 hours-a-week as a team leader at the makerspaces, Kelley teaches various classes for students interested in Carolina’s maker culture. 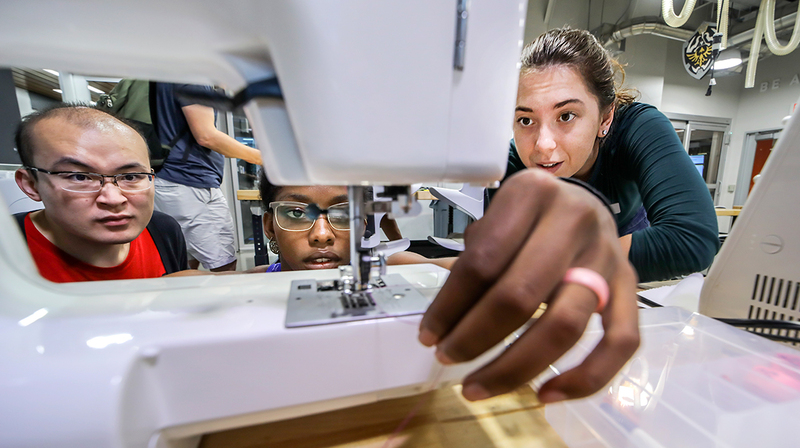 Kelley teaches students everything they need to know to use sewing machines, 3D printers and design software — skills she picked up herself at Carolina’s makerspaces. “I’ve been able to do the things that I’m good at, which is helping others and help train others,” Kelley said. The skills she hones every shift have also helped add another dimension to the work she is doing in the classroom. Kelley has utilized the technical skills she’s developed to design products that could solve problems in the neuroscience field. 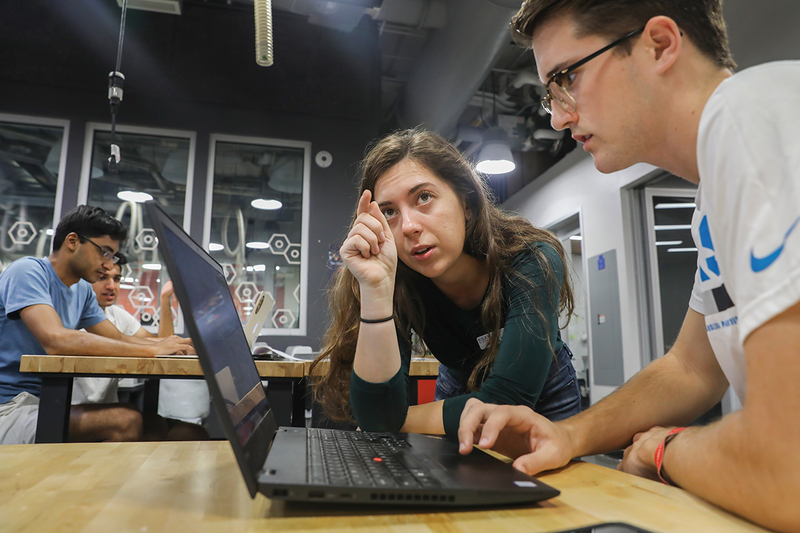 “I can actually design things for people who are visually impaired, which is the research that I am doing now,” she said. “A lot of the designing that I start out doing here as fun projects are actually applicable to answering real questions out in the world.